Globally acclaimed and illustrious developer Riccardo Olivieri is the man behind Bentley Bay, two individual towers that are recognizable by their unique curved architectural design and are regarded as a "masterpiece in glass". 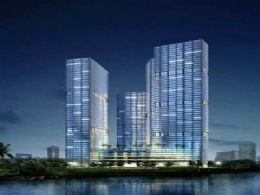 The towers are situated in South Beach, perhaps one of the country’s most exclusive and stylish cities to live in. 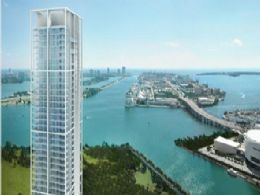 Bentley Bay residents can boast about having some of the most spectacular views of Miami’s amazing skyline and sapphire bay thanks to the building’s prime waterfront location as well as living in a building that has seen celebrities and musicians like John Travolta and Diana Ross walk through its doors. Bentley Bay also holds the distinction of being the neighborhood’s first five-star luxury condominium. Upon stepping inside Bentley Bay, an epic four story atrium lobby with deluxe marble flooring greets new guests and potential residents. This amazing regality is further enhanced by a number of exciting amenities and features such as concierge, valet, restricted high speed elevators, a cutting edge fitness facility with spa, sauna, steam and massage room. On the fifth floor you’ll find a marvelously landscaped pool deck that features an infinity edge pool and two soothing and invigorating Jacuzzis. Also enjoy the delectable dining restaurant that brilliantly overlooks the bay. Although there are 170 total individual units between the two Bentley Bay towers, only three or four are on each floor, thus giving residents a strong degree of privacy. Potential residents have the choice of selecting between one to three bedroom floor plans with nine foot ceilings and each unit features a private terrace that is accessible directly from the bedroom or living room. Additionally you’ll find eight foot solid core entry doors and high end security systems. Within the kitchens discover marble countertops, imported European kitchen cabinetry, and lighting underneath the cabinets. Elsewhere, discover roomy walk-in closets in bedrooms and European fixtures within the bathrooms accompanied by tubs with waterfall spouts. Bentley Bay is located in a neighborhood that is literally brimming with shops, boutiques, and upscale restaurants. A wealth of South Florida’s best nightlife is nearby and areas like Ocean Drive and Lincoln Road are perpetually abuzz with activity and Miami’s highly eclectic mix of denizens. Downtown Miami is home to the city’s largest entertainment complexes and is host to a multitude of large scale year-round events. Staying at the Bentley Bay towers means being near all of South Florida’s most exciting highlights.